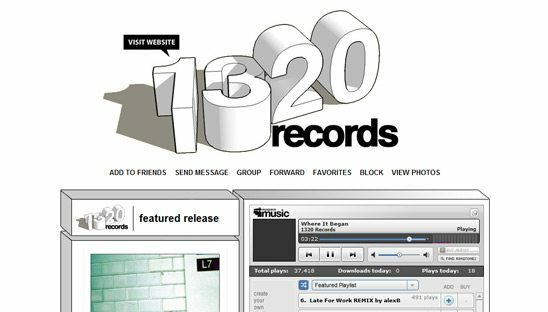 1320 Records (thirteen- twenty) is an independent label founded on the homegrown principles of collaboration, cooperation, and community. This makes us something of a throwback. Like Motown, Bluenote, CTI, and other classic imprints, the artists on our roster are friends and fans. They tour together, produce and mix tracks for one another, and appear on each other’s records—steadfast in the belief that the success of one benefits all. In short, 1320 musicians have each other’s backs. 1320 asked for a layout based off there logo. We did just that. The myspace layout has a really cool 3D design. As we do with all our clients, we structured the code to make it very easy for the client to update the new albums, news & events and every other sections on the page.